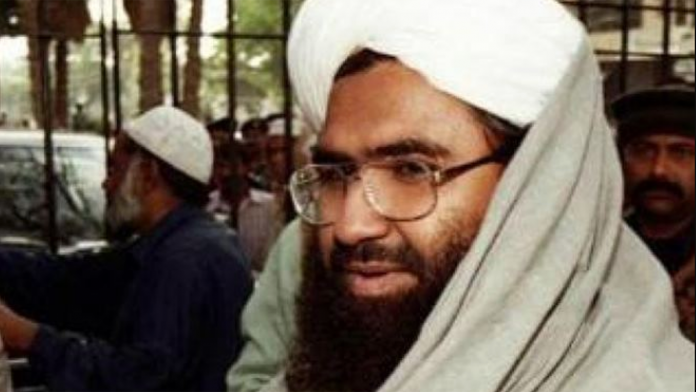 Masood Azhar, who was released in exchange for passengers in the 1999 Kandahar hijacking, has been behind several high-profile attacks on Indian forces. New Delhi: In December 1999, the Atal Bihari Vajpayee-led NDA government released Pakistani terrorist Masood Azhar along with two others in exchange for passengers of Indian Airlines flight IC-814, which had been hijacked and taken to Kandahar, Afghanistan. It’s a decision that frequently returns to haunt India. Of the other two terrorists, Omar Saeed Sheikh, who was behind the killing of Wall Street Journal reporter Daniel Pearl, is currently serving time in a Pakistani jail, while Kashmir-born militant Mushtaq Ahmad Zargar is no longer very active. However, Masood Azhar continues to live a free life, often seen taunting the security establishment through videos posted on the internet. He formed the Jaish-e-Mohammad (JeM) immediately after his release and return to Pakistan. The hijackers of IC-814 were led by his brother. The reach and power of JeM is clear from the fact that almost every big attack on the Indian security establishment since the early 2000s, including Thursday’s dastardly strike on a CRPF convoy in Kashmir, can be directly or indirectly traced back to the outlawed group. In recent times, JeM was responsible for, among other terror incidents, the 2016 attack on the Pathankot air base, as well as several others like the 2017 attack on the Srinagar BSF camp. It has also been recruiting young Kashmiris to take up arms against the Indian state. There are many in the Indian security establishment who point to covert support by the Pakistani establishment as the main reason for JeM’s emergence and its expanding footprints in several parts of J&K. According to a 2016 report in The Indian Express, JeM was responsible for the first human bomb attack on a security establishment in the Kashmir Valley — at the gate of the 15 Corps headquarters in Srinagar — in 2000. Considered close to the Pakistan Army brass and the ISI, Azhar has been carrying on his anti-India activities from inside Pakistan with impunity, even though JeM stands designated as a terrorist organisation by the US government. As Azhar started becoming too big for his boots, and amid pressure from the US, the ISI cut him to size and decided to restrict his activities against India. However, to deal with these restrictions, and, many say, with the active support some anti-India elements within the Pakistani establishment, Azhar established a new front in early 2015 to carry out anti-India activities — the Afzal Guru Squad, named after Parliament attack convict Afzal Guru who was executed in 2013. It was this group that was responsible for the attack on the Indian Army camp in Sunjawan on the outskirts of Jammu city, as well as the December 2014 attack on an Army camp in north Kashmir, which left 10 personnel of the police and the Army dead. The organisation is also known to reach out to wealthy Pakistanis to raise funds for its activities. In November 2017, Azhar’s nephew was killed in a gun battle with the J&K Police and the Army in Pulwama near Srinagar. India’s attempts to get Azhar declared a global terrorist by the UN have been repeatedly blocked by China on flimsy grounds.